Prices headed up!! That’s something that you haven’t heard much lately. But big changes are just over the horizon for NGLs as new petrochemical plants and export projects come online. These projects will encounter a market environment far different than what was expected when they were being planned. 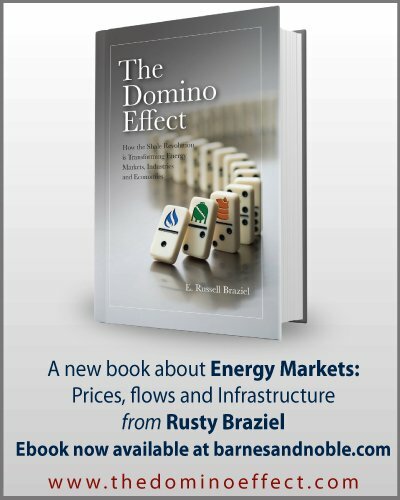 Instead of an oversupplied market driving NGLs lower relative to crude oil and natural gas, the projects will confront a tight market, with NGL prices higher relative to the other hydrocarbons. In today’s blog we explain why what must go up must come down, and vice versa. In the first installment of Spinning Wheel we assessed the rapid descent of propane stocks since late November, in spite of the 2015-16 El Nino “winter of no winter”, as a result of extremely strong export volumes. The week before that we highlighted the inaugural waterborne ethane exports in Ethane: Boat On The Water!! 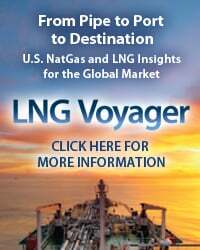 First US Overseas Ethane Exports Ready To Set Sail. 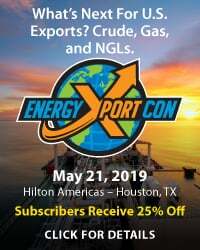 Today, we are going to take a look at how increasing ethane exports and growing petrochemical demand will impact NGL prices. Starting with ethane exports, over the next three years those volumes are going to sextuple. That is no suggestive reference. It just means an increase of six fold. In fact, it is an even bigger deal than that. Before 2014 there were no U.S. ethane exports at all (see Changes in Longitudes). In that year, U.S. ethane exports were inaugurated when the Sunoco Mariner West pipeline started deliveries from the Marcellus to Sarnia, ON. Later the same year, Pembina’s Vantage pipeline came online, delivering Bakken ethane to Alberta. According to EIA, in 2015 ethane exports to Canada on these two pipes averaged 65 Mb/d. As shown in Figure #1 below, that was just the opening act. The graph includes projected volumes to Canada on those pipes plus a surge of waterborne ethane exports out of Marcus Hook, PA (starting with that initial cargo referenced above) and then a huge ramp up in exports from Enterprise’s Gulf Coast Morgan’s Point facilities due online Q3 2016. The graphic also shows the possibility of still more ethane barrels moving to Canada from Ohio on Kinder Morgan’s planned UTOPIA (Utica To Ontario Pipeline Access) pipeline. 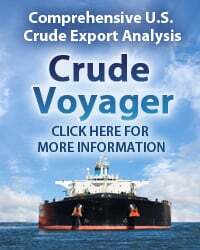 Add up all those committed export volumes (from companies like NOVA, Ineos, Borealis, Reliance, SABIC, and most recently Braskem) and that’s the sextuple – about 390 MB/d – six times the 65 Mb/d moving today. 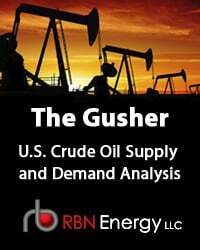 That’s a big increase in demand, but there is still more ethane demand on the way. Much more. 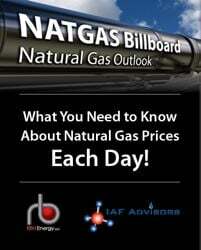 To access the remainder of Spinning Wheel – Prices for Natural Gas Liquids (NGLs) Headed Back Up! you must be logged as a RBN Backstage Pass™ subscriber. 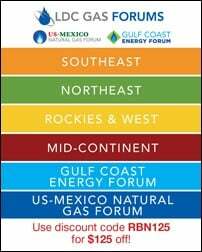 Spinning Wheel – U.S. Gulf Coast Propane Exports Headed Back Down! Ain't Wastin' Time No More- Shell Chemicals Ready to Act on Ohio River Cracker?